Great Aycliffe Town Council has denied closing down a public survey of its proposed financial plan for 2018-19 earlier than planned – just minutes after being promoted by Aycliffe Today. The local authority published a survey, via Survey Monkey, in November last year, inviting members of the public to comment on a proposed increase in council tax. The council claims the survey was advertised on its website, newsletter and social media channels – which, combined, have a little over 1,500 followers. But within minutes of Aycliffe Today promoting the survey to more than 7,500 followers on our Facebook page, and potentially encouraging more feedback from residents, council officers decided to shut it down. Aycliffe Today understood the survey was due to run until the weekend at least – but it was closed within 20 minutes of our Facebook post on Thursday morning at around 10.26am. Andrew Bailey, the town clerk, told us: “The survey was published on Survey Monkey on 9th November 2018 and advertised on the Council website, newsletter and social media channels. “It remained open with a view to informing the report that is to be presented to the Policy and Resources Committee on Wednesday 23rd January. “The reports for the Policy and Resources Meeting were finalised and sent for printing yesterday to enable them to be distributed to our Members and the public in line with the statutory deadlines. “Feedback from the budget survey has been incorporated into the budget setting report, to ensure that Members can take these views into account in their consideration of the budget. “As such, the survey was closed this morning, as any further responses would not have been able to be included in the budget setting report. 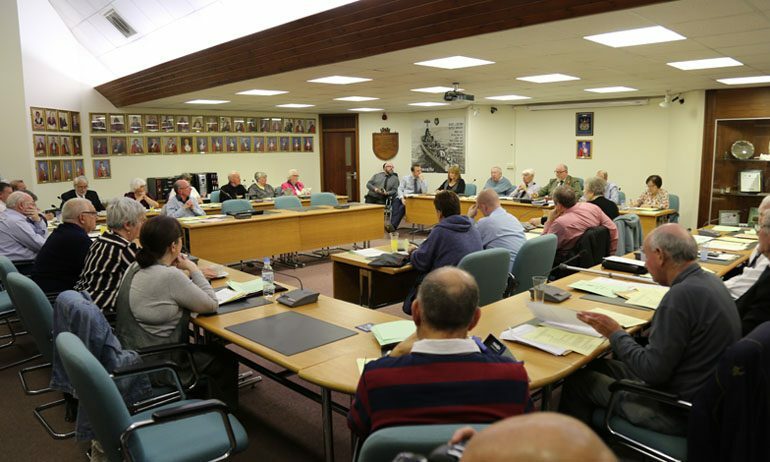 The Town Council is in the process of setting its Revenue and Capital Budgets for the 2018-19 financial year, and said it “wishes to seek the views of the local community”. The local authority is proposing another council tax hike – despite stuffing more cash into an already healthy rainy day account and claiming “its finances remain in a strong and healthy position”. A statement added: “The financial situation of the Council will worsen as it moves into the new decade, and the process of balancing the Revenue Budget will become increasingly difficult. “The Council is reliant on Council Tax Support Grant funding of nearly £200,000 per year and which amounts to 13% of its Revenue Budget. It has been confirmed that this funding will be cut by 10% in 2018-19, and will continue to be reduced in the coming years. “The Council is also facing a number of significant spending pressures including ongoing increases to the National Living Wage, the likely removal of the 1% public sector pay cap, increasing inflation, and falling usage of leisure facilities. “Because of positive financial situation at the present time, most of the budget increases faced next year will be able to be offset from efficiency savings, increased pre-school and cemeteries income, and the additional council tax that will be raised from new housing. “However, it is important, in light of the longer term financial challenges faced, that the Council aims to maintain some surplus resources in the Revenue Budget. “Taking all of the above issues into account, the Council is proposing making a small increase in the Town Council Tax next year. “This decision has not been taken lightly, particularly in light of the ‘cost of living’ difficulties which we know are being faced by local residents. “However, by limiting the proposed rise to 1.99% next year, the increase in the Town Council Tax Bill at Valuation Band A would be limited to less than £3 per year.